Mechanical Engineering Professors Hugh Bruck (left) and Jeffrey Herrmann (right) have been named University System of Maryland (USM) PROMISE Alliance for Graduate Education and Professoriate (AGEP) Outstanding Faculty Mentors for the 2015-2016 year. 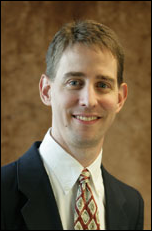 Bruck serves as the Director of Graduate Studies for Mechanical Engineering and the Associate Chair of Academic Affairs. 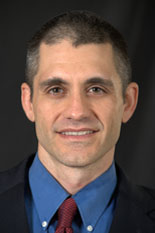 Herrmann is the Academic Director for the QUEST Honors Fellows Program and holds a joint appointment with the Institute for Systems Research. They were chosen by underrepresented graduate students in science, technology, engineering, or mathematics (STEM) fields, as well as other leaders of STEM diversity programs in Maryland for their diversity and inclusion efforts and actions. AGEP highlighted Bruck and Herrmann’s involvement in inclusion efforts, STEM diversity conversations, participation in PROMISE and Graduate Student Development activities, and research agendas that broaden the participation of underrepresented STEM scholars. Funded by the National Science Foundation (NSF), AGEP aims to significantly “increase the number of domestic students obtaining graduate degrees in STEM fields, with special emphasis on those population groups underrepresented in these fields (i.e. African-Americans, Hispanics, American Indians, Alaska Natives, Native Hawaiians or other Pacific Islanders).” AGEP also wants to improve preparation of underrepresented minorities for faculty positions in academia. This is done through building alliances between doctoral-granting institutions in order to develop infrastructure and engage in substantive partnerships with nondoctoral-granting institutions to enhance recruitment, retention, and advancement. Bruck and Herrmann were two of twelve faculty members selected from STEM programs in the University System of Maryland to receive this honor. Nominees are invited to attend the AGEP Workshop on Enhancing Faculty Understanding of Diversity Issues in Graduate and Postdoctoral Education held September 11, 2015 at the University of Maryland, Baltimore County.